While cases from Africa account for over a quarter of CAO’s caseload, access to CAO remains a key challenge in the region due to low awareness about IFC and MIGA and options for recourse. For this reason, CAO embarked on an Africa outreach initiative this year to engage communities, civil society, private sector and other stakeholders about environmental and social standards, grievance redress, and accountability mechanisms. Participants complete a group exercise during the workshop in Abidjan, which kicked off the outreach initiative, Cote d'Ivoire, August 2017 (CAO). In Cote d'Ivoire, CAO hosted a workshop with the African Development Bank’s accountability mechanism for 30 civil society representatives from 10 West African countries on grievance redress and accountability mechanisms. The workshop also included a training for private sector companies. In South Africa, CAO organized an outreach session during the Alternative Mining Indaba with the African Coalition for Corporate Accountability (ACCA) which included participants from Botswana, Chad, Democratic Republic of Congo, Cote D’Ivoire, Nigeria, and South Africa. In Tanzania, CAO participated in a two-day workshop on Business and Human Rights hosted by six leading human rights institutions and civil society organizations. CAO also participated in two workshops hosted by ACCA and NGO partners in Pretoria and Abidjan that discussed the role of multilaterals and their accountability mechanisms. CAO staff respond to questions during the Ghana video conference, Washington, D.C., December 2017 (Photo: CAO). 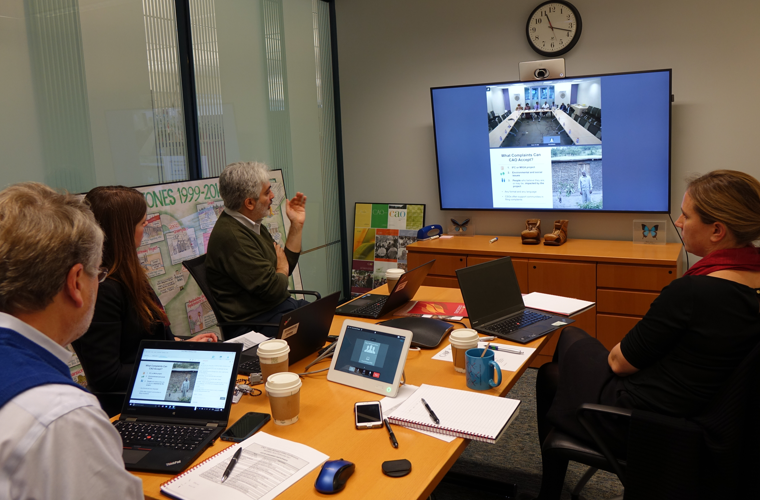 In Ghana, Senegal, and Nigeria, CAO hosted outreach videoconferences hosted at IFC country offices, which reached environmental and social advocates, labor unions, and national groups focused on health, gender, anti-corruption, and disability rights. In Ghana, CAO collaborated with the West African Civil Society Institute and SEND Ghana. 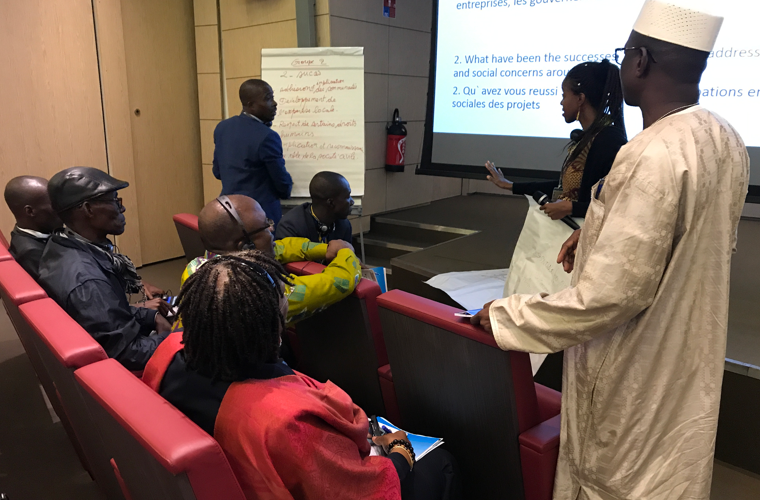 In Senegal, CAO partnered with Lumiere Synergie Dévelopment and LEAD Afrique Francophone for a meeting with 23 civil society leaders that included a briefing with IFC. 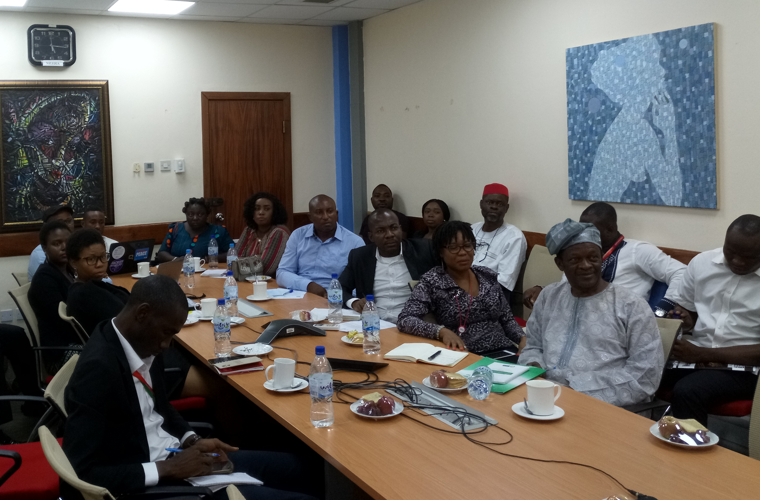 In Nigeria, CAO organized a meeting with the African Network for Environment and Economic Justice and Global Rights, which brought together 30 representatives from diverse organizations in Abuja and Lagos for a conversation with CAO and IFC. The frank and substantive discussion, which was well-received by participants, focused on IFC’s policies and investment portfolio in Nigeria and how CAO works with communities.